TRAVEL.org - Travel Mexico. Find resorts & hotels in Puerto Vallarta, Cabo San Lucas, Mazatlan, Guadalajara, Morelia, Cancun, Baja, Acapulco and more. Riviera Maya Mexican Holidays Travel Guide - offers advice about attractions, hotels, amenities and things to do in Mexico. The site also contains useful information about the traditions, customs, and history of Mexico culture. Car Hire Mexico - Welcome to Beneluxcar.com rent-a-car. We can help you find the perfect car for your road trip. Shuttle in Cancun - is your low-cost airport transportation in Cancun. Cancun Airport Transportation - We offer safe and reliable airport transfers to all locations in almost every airport. Transfers-usa.com is an online reservation system where you can easily arrange your own safe, economical, and reliable transportation to your hotel or destination. Resort Cancun - Resorts in Cancun, tours, airport transportation and other travel services you'll need for your Cancun Vacation. Cancun Airport Transportation - Private Transfers to your Hotel. 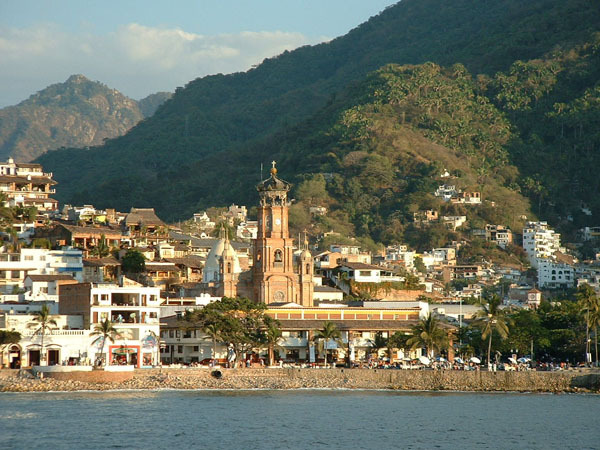 Living in Lake Chapala - Collins Real Estate in Lake Chapala provides you with an informative guide to living or just visiting Lake Chapala & Ajijic, and can answer any real estate questions you may have as well as provide current Listings for the area. Ixtapa - Everything you need to know for that perfect Mexican getaway in Ixtapa. Complete Ixtapa Travel Directory - Hotels, Restaurants, Activities, and Maps. Travel Torreon - The non-official guide for the city of Torreon. Plan your next trip. Reserve hotels in Torreon, Coahuila Mexico. Riviera Maya - (Quintana Roo) On the Caribbean. Discovery Vallarta - Gay Puerto Vallarta travel guide with info on the beach, nightlife, restaurants, dining, condos and villas, downtown, and art galleries. GuiaMariposa.com guide to San Miguel de Allende - Hotels, Restaurants, Guest Houses, Accommodation, Shopping, Services, and Real Estate. Casa De Las Flores B & B - in Tlaquepaque (near Guadalajara)- in the heart of the charming village of Tlaquepaque, famous for it's artists and craftsmen. Complete Zihuatanejo Travel Directory - Complete Travel Directory, Hotels, Restaurants, Activities, and Maps. Hacienda Beach Club & Residences - A magnificent resort set along a private stretch of Medano Beach, the Hacienda Beach Club & Residences in Cabo San Lucas offers a signature brand of relaxed elegance that redefines luxury oceanfront living. Pueblo Bonito Pacifica Resort & Spa - is an all inclusive resort in Cabo for adults only that offers luxury without limitations, oceanview accommodations, fine dining, meetings & events space, award wining spa and Cabo San Lucas vacation packages. Marquis Los Cabos - a spectacular 5 star luxury resort in Los Cabos, Mexico. Overlooking the crystal blue waters of the Sea of Cortes. San Felipe Vacation - Furnished beachfront vacation rental homes and condos in San Felipe, Baja California, Mexico. Check availability and reserve Online! My Huatulco Vacation - Providing a wide selection of vacation rentals that feature 5 star amenities and larger living spaces for less! The Fairmont Acapulco Princess - Escape to paradise at the Acapulco Princess. On Revolcadero Beach, our Acapulco hotel features luxurious resort accommodations in a lush and relaxing location. Seaside Mexico - specializes in vacation rentals and hotels in Rocky Point, San Carlos, Barra De Navidad, and Riviera Nayarit. The Ritz-Carlton - Conference Rooms Cancun - Nestled along the alluring Mayan coastline in Mexico, The Ritz-Carlton resort in Cancun offers the perfect hideaway for a sumptuous Caribbean vacation. Cancun’s white sand beaches, charismatic Mexican hospitality and exquisite Cancun restaurants, perfectly combines to offer a luxurious escape for couples and families alike. Hilton Los Cabos Golf and Beach Resort - is an ideal location for family weekend getaways or breathtaking weddings. The Fairmont Pierre Marques - Plan your stay at the Pierre Marques hotel and discover an exceptional Mexico resort. Nestled on 480 lush acres, our Revolcadero Beach resort in Acapulco is an idyllic retreat. Marquis Reforma Hotel and Spa - is a luxury boutique hotel in Mexico City, featuring elegant accommodations and luxury suites, a peaceful day spa, stylish meeting and event space, fitness and business centers, top rated Mexico City restaurants and vacation packages. The JW Marriott Mexico City - A luxury hotel in Mexico City located in the Polanco district. Rocky Point Hotels - (Sonora) Offering information, reviews on resorts, hotels, beaches, and free local vendor listings. Fairmont Mayakoba Luxury Riviera Maya Resort - On the Riviera Maya, the Mayakoba hotel offers an ideal tropical escape. Just steps from the ocean, our luxurious Riviera Maya resort features gracious service and all the excitement of the region. Baja California Vacation Rentals - Beach Vacation Homes, Villas, Condos and House Rentals in Baja California, Mexico. Professionally Managed Vacation Rental Accommodations. ME by Melia - A brand of experience-based hotels in select Urban and Resort destinations. HolidayGroup.com Mexico Timeshares - Find discounted timeshares in popular Mexico destinations such as Cancun, Acapulco, Ixtapa, and Puerto Vallarta. Velas Vallarta Suites Resort & Convention Center (Puerto Vallarta) - is a premiere, all-inclusive hotel, spa, convention center and beach resort for family & business getaways in beautiful Puerto Vallarta, Mexico. Marriott Cancun Resort and Spa - Luxury Cancun resort and spa featuring exquisite accommodations and break taking views. RentalsPark.com - Find Apartments and Villas in 29 different towns & cities in Mexico. Marriott Casamagna Cancun - Premier Cancun hotel with luxurious accommodations. Relax on the white sand or in the turquoise waters of the Caribbean. Mexico Hotels and Accommodations - Discounted rates on Hotel rooms, Car Rentals, Flights, Vacation Rentals. Discountedhotels.com, your complete travel resource. Angeles De Merida - (Merida, Yucatan) Bed & Breakfast in Colonial Splendor. Filled with antiques, All the guest rooms overlook the pool and garden. Scenic Rentals.com - Find Beautiful Vacation Homes & Condos in Mexico. Vacation Rental Network - Find a beautiful home, villa, or condo in our extensive database of vacation properties throughout Mexico. Vacation Rentals .com - Find beautifully furnished private homes, villas, and condos of all sizes around Mexico. CheapestDeals.com - Up to 75% off on Hotel Reservations in Cancun. Casa De Las Flores B & B - in the heart of the charming village of Tlaquepaque, famous for it's artists and craftsmen. Real Mexico Inn and Tours (Rosario) They offer a comfortable bed and breakfast, plus personalized tour services for a vacation with a difference. LODGING SITES for Weddings and Events. The Ritz-Carlton - Conference Rooms Cancun - Discover exceptional conference rooms in Cancun. From stunning ballrooms and outdoor spaces to elegant meeting rooms in Cancun, The Ritz-Carlton offers unique meeting facilities and impeccable service to ensure all your Cancun meetings are ideal. Velas Resorts Weddings - Celebrate your Mexico destination wedding at beautiful Velas Resorts in Puerto Vallarta & Riviera Maya, Mexico, all inclusive luxury resorts and wedding destinations with golden beaches, gardens and gorgeous wedding venues. Yucatan trip; anonymous; 1994 May? Punta Venado Mayan Riviera - Best Shore Excursions and Beach Tours in Cozumel and Playa del Carmen. Just one hour from the Cancun Airport. Dolphin Discovery - Swim with dolphins programs in top tourist destinations Cancun Isla Mujeres, Cozumel, Vallarta, & Mayan Riviera. Water Activities in Zihuatanejo - as well as other fun ideas.